On the day of Trump’s inauguration, January 20th 2017, the streets of D.C. were flooded with protesters in what is now a common sight under Trump’s presidency. The J20 resistance and the Inauguration’s disruption symbolize renewal in our revolutionary movement — the disenfranchised are becoming politicized, and the masses are learning to revolt in love and rage. It also represents an escalation of state repression and its attempts to criminalize dissent. 230 people were mass arrested by kettling during these demonstrations. 214 of these arrestees were charged under the Federal Riot Statute, using spurious grounds to invoke a historically racist law. The proceedings have been filled with mistrials and acquittals, the state scrambling to find a defense of its actions. For well over a year it has been reeling from this defeat, lashing out like a wounded animal as it backs down. 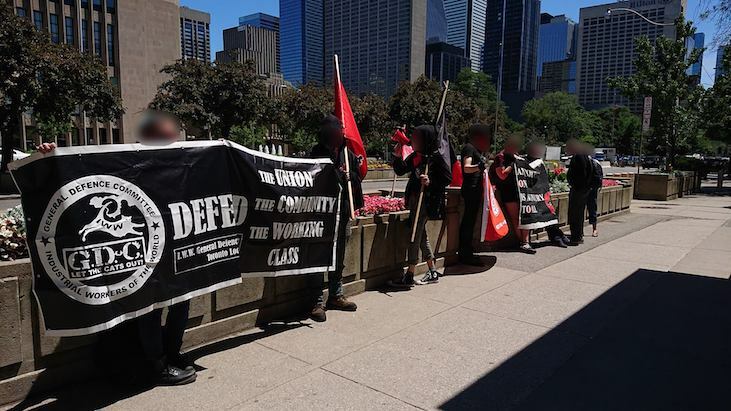 On Monday, June 25th, an international day of solidarity with J20 defendants was called for by the IWW. 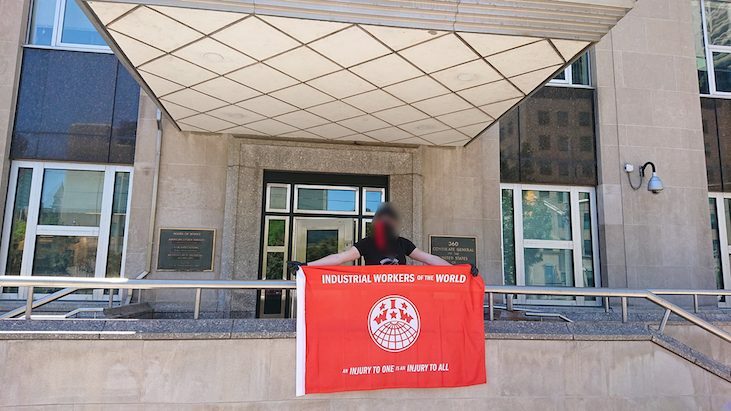 The Toronto IWW GDC demonstrated on the steps of the United States consulate to show our strength despite repression, dropping our IWW banner over the consulate entrance and bringing attention to the brutalization of our fellow defenders across the Southern border. 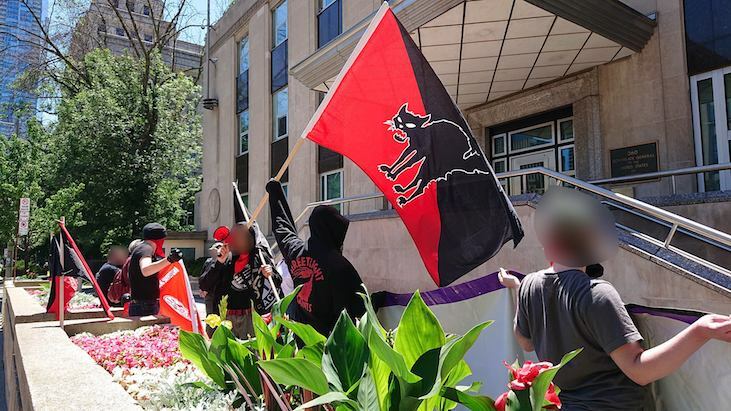 We live in an era when fascists and white supremacists can attack us in the streets without legal consequence, but antifascists face over 60 years in prison for a demonstration. Our movement stepped up to show its resillience for the 44 remaining defendants. 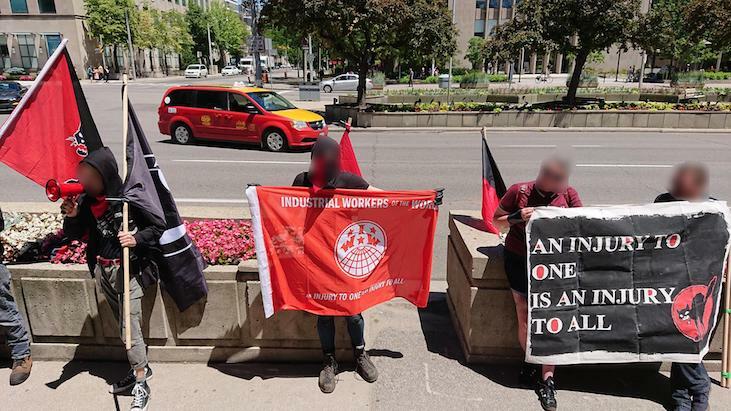 The IWW, CNT, and FAU and other organizations held solidarity actions all over America and in five other countries across the world. This awe-inspiring international harmony is one of our greatest strengths — our rulers sit divided as we remain tenacious and united, acting together across these false borders that so deeply cage us. We are renewed, comrades; and we only intend on becoming stronger.